WHAT NATURAL RESOURCES DOES ANTARCTICA HAVE? makes the study of geology of Antarctica very difficult. geology of the Antarctic region is based on the theory of plate tectonics. Antarctica even though very little of the crust of Antarctica is exposed. formed at the same time and with the same basic processes. Many people believe that Antarctica is a place of unlimited resource wealth. depleted, it will become more cost effective. resources are gradually depleted in other lands. water. At present the delivery costs make these ventures unprofitable. in the coal to be preserved for future generations to use. -Short work season and hostile climate. makes drilling through the ice and into the rock very difficult. copper, iron and platinum group minerals. the other continents that made up Gondwana. formed, and how they are used. that go to local research stations to visit and observe. problems arise there is often no system set up for rescue or resupply. next development in Antarctica tourism. tourists to visit the area but do not address these problems. 1-The student will be able to describe Antarctica's resources. 2-The student will be able to explain how the resources are formed. trying to recover Antarctica's resources. Antarctica and how each resource is formed. 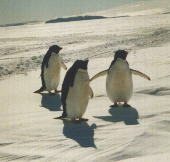 5-The student will know that tourism is one of Antarctica's resources. Antarctica and the problems associated with each. Antarctica resource puzzle sheet, Glue or Tape. describe in words where Antarctica is compared to where you live. (weather, land, number of people, activities). 3-What is a natural resource? 4-List three examples of natural resources that you have in your community. 5-List five natural resources that you think Antarctica has. 6-Explain how these resources from number 5 where formed? 7-What are some uses of the natural resources that you listed in number 5? students so they can get a picture of Antarctica in their minds. pictures from home that they may have of Antarctica. the background information for a reference. on the Resources of Antarctica Worksheet. 1-Exploiting Antarctica's Resources: Is There Another Solution? they then come up with ways to conserve that resource. orally to the class the following information. -How resource is mined or recovered around the world. -Some environmental impacts of recovering that resource. -Design some possible methods of recovering that resource in Antarctica. resources were formed before the large land mass broke up. us determine if there are minerals in Antarctica? we will find gold in the mountains of Antarctica? the effort and money to recover the resources in Antarctica? 9-Explain the three basic process for the formation of metallic minerals. 10-What are some ways that tourist can visit Antarctica? 11-What are some problems associated with tourism in Antarctica? 1-Your teacher will assign you a resource from Antarctica. 2-Write a report about your resource using the following outline. B-How the resource is formed. C-Estimate or find out how long it takes to form the resource. from Montana.) List as many as possible. petroleum used in cars, to make plastics). F- Problems of recovering the resource from Antarctica. G-Come up with alternative resources to use to do the same thing. (i.e. and to apply that knowledge to Antarctica. of the world because of the special conditions that exist in Antarctica. winter they have 24 hours of night. Antarctica is moving by the force of gravity downhill towards the coast. and shift with the ice. page) report about the recovery of that resource in Antarctica. Your report or presentation should follow the outline below. 2-How the resource is used. 3-How the resource is mined or recovered from the earth in other locations. account the problems talked about in the background material above. SUGGESTIONS: Do #1-4 above first. and be based on sound ideas and reasoning. -Bounce your ideas off other group members. -All members of the group should speak in presentation. -The written report is split into parts and everyone should write a part. Your group project is due on (DATE). of resources under the ice and around the edge of Antarctica. formed one large continent. This supercontinent was called Gondwana. estimate where those minerals should be found in Antarctica today. continents were connected during this time. for #3. Do not tape or glue Antarctica. continents have their resources marked by different symbols. -The resources were formed at the same time. -They seem to form in bands. -Connect similar resources across continents if possible. metallic minerals would be located. 7-Attach Antarctica to the sheet and answer the summary questions. 1-What resources did you think would be found on Antarctica? 2-How did each of these resources form? 3-What kind of environment was needed to form these resources? environment found in Antarctica today? Explain? resources under the Ice of Antarctica? -Draw a large supercontinent. Shade and label some resources on it. Multiple choice. Circle the correct answer. 1-How much of the surface of Antarctica is exposed above the Ice? 2. How much of the worlds fresh water is trapped in The Ice of Antarctica. a. Living things being buried by lava. b. Living things that die and decompose. c. Living things being buried under sediments. d. Living things being dissolved in hot water. Part 2:  Match the resource with its use in our society. 1-What are three problems with tourism in Antarctica? 2-List four problems of trying to recover resources in Antarctica. -Problems of recovering that resource from Antarctica.